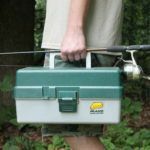 A fish finder is a necessity if you are serious about fishing. This is an extremely efficient and effective device and helps you in spotting fish quite accurately. But that is not all. 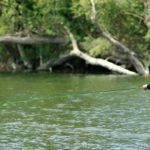 It will also help you to get a clear picture of how the bottom of the lake, the water conditions and all related information that can help you fish with greater success. Sitting on the bank, the bottom of the lake is like an unexplored giant rife with possibilities. But the fish finder helps you get a clearer picture. 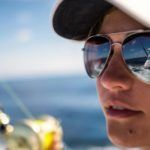 The best fish finder will help you get a clear idea about what’s beneath your boat, identify the fish and sometimes even gauge an approximate depth of the lake. So there are many factors that you have to consider before you go and buy one. The shape, the depth, the details all are different from one device to another. Moreover, every water body will have a different degree of necessity. It is very important to cater to that too. So when you set out to look for the best fish finder, it isn’t that simple. You have to carefully investigate every device, look for the options and decide on the one the one that best caters to your list of requirements. This is a crucial decision as the smallest mistake in choosing the right one may turn out to be an expensive loss, especially with respect to getting the best catch. 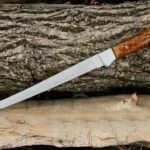 Well, we decided to make the task a little simpler for you with a quick review of some of the best options available now. These are not just some of the best offerings but are useful over a wide range of opportunities across the board. We rated these products on the basis of many factors. This is an extremely portable and convenient option. The Garmin Striker 4 is, in fact, one of the smallest offerings from the company. 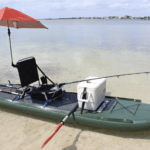 It has a simple set up technique, and you can easily attach this to the boat or remove after use. It is compatible with a range of shipping alternatives and offers relative flexibility and convenience to the users. The Clearvu Scanning sonar gives you images with close to photographic clarity. Users get a detailed idea about the fish and objects underneath. So it is extremely functional with minimum frills. In fact, the Garmin 4 is one of the best representations of the power of simplicity. There is a clear keypad based interface and has buttons dedicated to different functions. As a result, you do not need a complicated manual to understand the various functions. The display screen ranges from 3.5 inches to 7 inches. One of the best fish finders in the given price range, it is also equipped with a waypoint map. This helps users to navigate through various locations with relative ease and distinguish a wide range of potential targets. If you are in a freshwater lake, it can scan depth up to 1600 feet, but in saltwater, it is only about 750 feet. The CHIRP sonar is another interesting addition. It sends information through a continuous chain of frequencies. So the user gets a more precise set of information in a more distinct manner. This fish finder also comes equipped with a flasher that is built into the system. It is ideal for even challenging fishing environment like ice fishing. 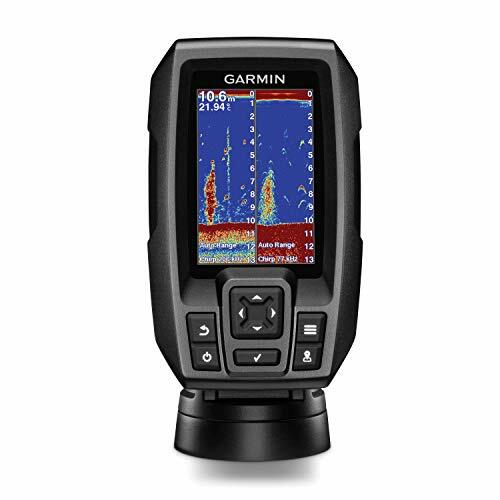 The next in the list of the best fish finder also belongs to the Garmin stable. The Garmin echoMAP Chirp 54cv is an improvement on its previous offerings. It combines the ClearVü scanning sonar technology with the efficiency of the echoMAP. This boosts the efficiency of this fish finder by many times. It brings in a decided level of excellence and efficiency. This fish finder also comes equipped with the Quickdraw Contours software. This feature is particularly useful as it lets you draw your own maps on practically any type of water body. The advantage of the ClearVU Scanning sonar is that you get detailed information of objects and potential targets around your boat. That means you have a much better rate of success using this device. The high-frequency sonar waves allow images that are very close to the photographic quality and enables proper targeting. The Chirp Sonar, no doubt, aids it in this context by sending a continuous slew of frequencies. That helps the fish finder capture a wide range of information and pass it on to the user in a comprehensive fashion. In fact, the internal 5 Hz GPS also enhances position updates. It goes on to update position almost at the rate of 5 times every second. This is particularly advantageous in marking out the individual waypoints with much greater clarity. Dragonfly has made a name for itself in developing great quality electronic fishing devices. 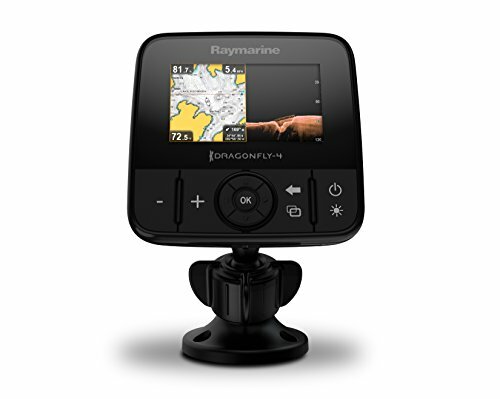 So it is but obvious that the Raymarine Dragonfly Pro features rather prominently in this list of the best fish finder for you. 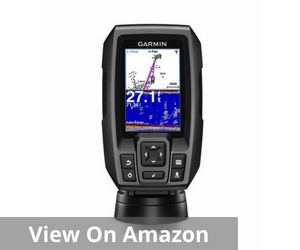 This fish finder is a unique amalgam of stupendous advancement in technology. 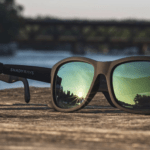 It combines the wide-spectrum CHIRP DownVision and a display season that is fairly sturdy and withstands myriad weather conditions. The CHIRP DownVision completely transforms your underwater perspective with their almost photo-like sonar images. 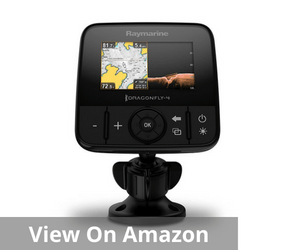 Another feature that makes this Dragonfly Pro really special is that it comes equipped with Navionics+ charts. That means its database essentially covers practically the entire coast of US and Canada and lists over 20,000 lakes in the region. The depth of imaging and the high-speed bottom tracking is what sets this device apart and gives its users a definitive edge. The Raymarine also gets an edge with the CPT-DVS transom mount transducer. This pairs beautifully with the DownVision to bring forth superior image quality at a reasonable rate. So you get a value proposition with a depth of vision and data with superior image quality right within your budget. A high-quality product with low maintenance requirement. Very poor customer service facilities and users have highlighted that how language barriers created havoc in proper communication and overall troubleshooting efficiencies by the company. Some users highlighted performance inconsistencies by this device. If you want total command of the water you are in, then this is one of the best fish finders for you. 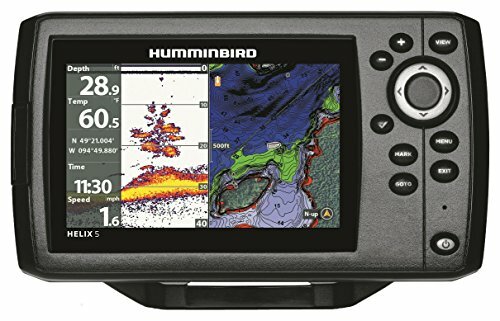 This Humminbird is one of the best companions for any ambitious angler who does not want to settle for a low or unimpressive catch rate. This device is equipped with two unique display modes. They allow you to adjust the fishing conditions in a matter of seconds. You can add or remove information details at will. The Sonar system in this device is extremely sensitive and helps you spot fish in areas that other sonars may tend to miss. As a result, you develop an extremely smart and impressive strike rate in terms of your daily catch. You have to just set the parameters and wait for the results. 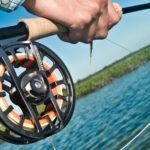 So you are practically ready to fish the moment you are on the boat. 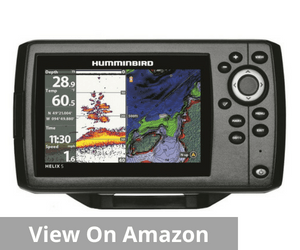 There is another striking detail that adds to the Humminbird’s efficiency. The accuracy of the maps and charts undeniably give the users a definitive advantage. The built into GPS-equipped Helix Series G2 and G2N models help enhance the overall depth contours. That coupled with the host of the navigation aids helps you navigate anywhere on the American coastline with confidence and success. It also enables you to create your individual charts. 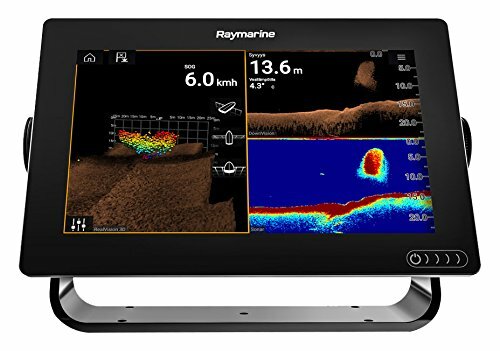 It is impossible to create a list of the best fish finder without a mention of the Raymarine Axiom 9. 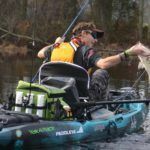 It is a power packet multi-functional navigation tool that surely takes your angling experience several notches higher. A 9-inch touchscreen device, it is driven by Raymarine’s very successful LightHouse 3 operating system. 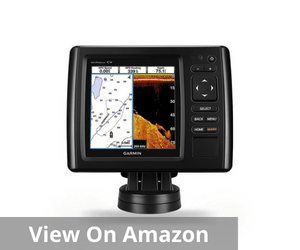 That along with the supercharged quad-core processor really heightens the overall success rate of this fish finder. The built-in RealVision 3D sonar is the other key distinguishing feature of this fish finder. 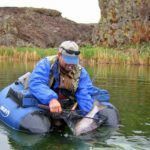 You can identify and locate fish a lot easier, more often and with greater accuracy. As a result, this fish finder also helps you attain a much higher strike rate. 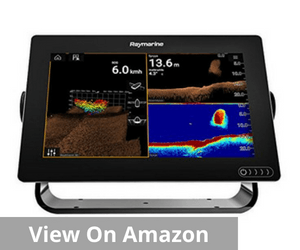 The best part is that this device supports a whole range of Raymarine fishing accessories and as a result promises a seamless and effective integration at most times. The clutter-free interface coupled with the facility to customize surely enhances the overall user experience and effectiveness. You can finally bid adieu to system slowdown and happily run multiple apps simultaneously. 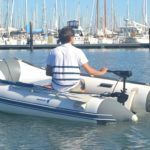 Additionally, the Gyro stabilization improves the fishing experience as well by compensating for the boat movement and almost delivers life-like images. There aren’t too many negatives for this comprehensive package, but overall, the operating software does not live up to the user experience. It is just about okay, and reviews indicate that it may not be as spectacular as promised. So, as you can well understand from most of these reviews, that various factors play a crucial role in helping you decide the most useful and effective device. Many minor details need to be taken care of. But more than that, your individual preferences matter. 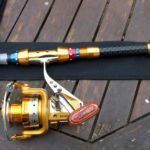 The kind of fish you bait for normally, the type of water bodies you frequent, all of them also play a significant role in getting you the best fish finder. Additionally, it needs to fit into your budget too. The power of the fish finder you opt for is crucial. It is generally given as Watts and indicated by a capital ‘W’ sign. This is simple mathematics at play here. The more the power of your device, better is the output. The device will work significantly faster and be able to give you more information about the bottom of the water body. Less wattage typically results in a slow output. 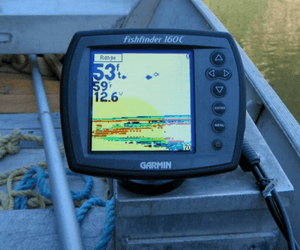 If the water body is shallow, a lower wattage fishfinder may be more appropriate. But for deeper water, a higher wattage one is necessary. By this I mean the best fish finder is also the one that gives you the best clarity. This is essentially calculated on the basis of the pixel. The more the pixels, the better is the image quality. This is because pixels are the smallest representation of your picture in the form if a dot. Many dots get together to bring the actual picture in front of you. So when you get 1080×1080 pixels, it means that there are 1080 dots horizontally and vertically. Therefore, if you are looking for crystal clear images, choose a fish finder with higher pixel composition. But the pixel strength alone cannot give you the desired clarity. It is very important to also get the right size of the screen. This will make it possible to fit in all the details that the pixel strength allows. A very small screen size will hamper clarity to a large extent. On the other hand, very big screen size will make the device bulky. 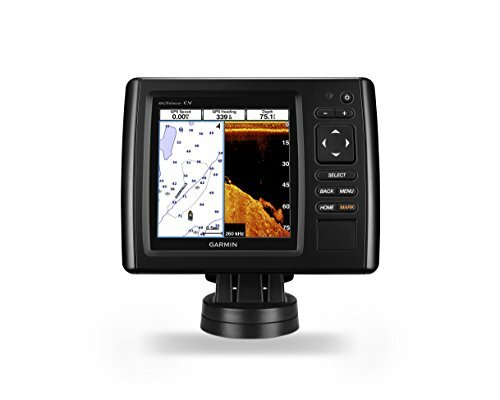 So the best fish finder for you is the one that gives you an ideal combination of the screen size as well as the pixel strength for generating the best quality images. This is literally the heart of any good fish finder. This is the key element that transmits and obtains a variety of sonar waves deep into the water. The picture is then transmitted on the basis of this wave movement. Normally the information that the wave collects is transformed into an image and represented to the user. Needless to mention this helps in clear understanding and proper analysis of the information that you gather. Therefore, you can then fish with a much greater precision and will be able to optimize the output of the device to a large extent. But the transducer’s efficiency is again a function of the frequency that this fish finder operates on. 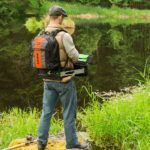 Just like the pixel strength and power, the frequency is one of the most basic requirements you have to decide on when looking for the best fish finder. Normally dual frequency transducers operate the best. Remember, unlike power, the higher frequency transducers are ideal for shallow water and reverse for deeper water. For example, professionals going for deep water fishing prefer frequencies as low as 50Hz. You also get transducers with multiple frequency strength. Therefore, the quest for the best fish finder is combining technical know-how and basic fishing experience. It is very important to make sure that you pay attention to details when buying a fish finder. Also before anything else, you must carefully list out your own priorities. That helps in narrowing down options and concentrating better on just a few. In case you are still confused just refer to this list of the best fish finders. I am sure this will offer you many value-buy options that are also extremely effective in their output and overall performance.